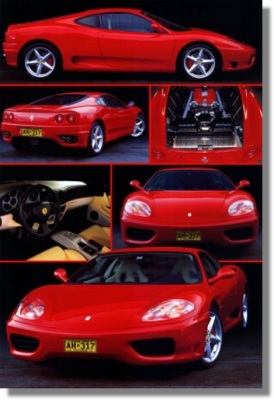 >Ferrari 360 Modena Montage Poster. A truly beautiful poster that is not done justice by the picture. Measures approximately 24 x 34 inches or 60 x 86 cm.